Waitin' On a Sunny Day: The Thrill of It All (1963) - love love love!! 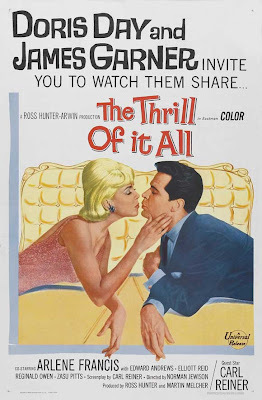 The Thrill of It All (1963) - love love love!! The Thrill of It All. I wanted to see this film because Arlene Francis is in it. I love Arlene Francis. You probably already know that already though. I do not, however, love Doris Day. When I was little, I loved her -- no, I ADORED her, especially in Calamity Jane. A few years passed and I grew out of my love for her and hadn't seen any of her films for about 4 years, until the other day when I received a Doris Day double feature in the post. I only bought the double feature because it was cheaper to buy The Thrill of It All + Pillow Talk as opposed to the former by itself. I decided to watch Pillow Talk because I've heard so many good things about it and... I suppose I was feeling adventurous. 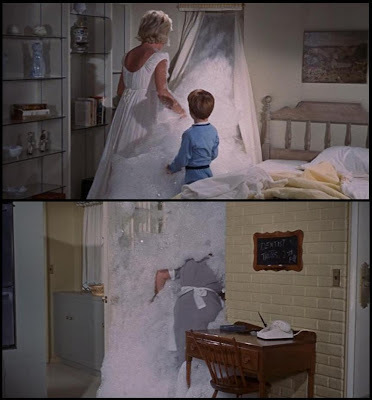 All I have to say is: WHY HAS DORIS DAY NOT BEEN IN MY LIFE THE PAST FEW YEARS?! 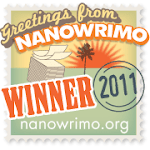 I have been depriving myself of her brilliance and I feel so very ashamed. I don't know what happened... maybe my 13 year old self thought it was "uncool" to like Doris. Eh, what did she know!? I HEART YOU DORIS!! I intend to watch as many of her films as possible as soon as I possibly can. Anyway, I'm not here to discuss my new-found love for Doris Day. Well, I am, but only in connection with the absolutely wonderful film The Thrill of It All. The cast is pretty much perfect now that I've discovered my love for Doris again. 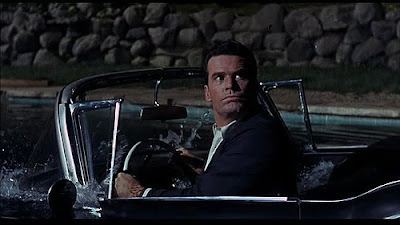 JAMES GARNER - excuse me while I drool over his beautiful chin. 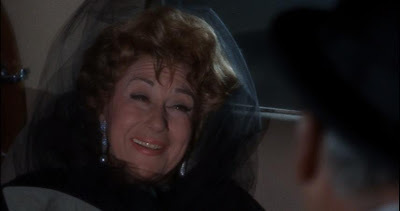 ARLENE FRANCIS - ;KDFJA;DKFJ;A;SLDF'ALKFG;KAHS;EIFJASD = my emotions whenever I see her in anything! There's also Edward Andrews, Reginald Owens, and GLADYS KRAVITZ-- I mean, Alice Pearce. 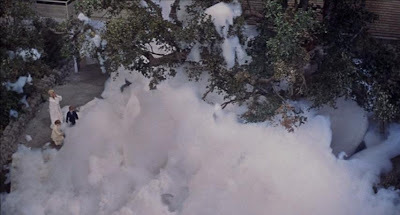 The film has on the most hilarious opening scenes ever. You will not be able to keep a straight face, and whenever you think about it you will find yourself laughing. 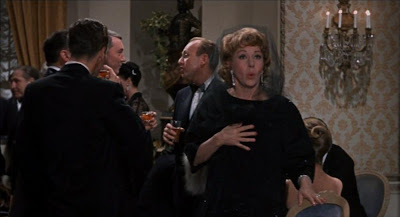 You know how you sometimes dream about a film in which Arlene Francis dances around whilst laughing and squealing in the most adorable and hilarious manner possible? Yeah, well, you don't need to dream anymore. She gets into the lift with a bunch of miserable-looking business men, but unable to contain her joy, bursts into infectious laughter which sets off all the men laughing. Beverly Boyer: Hello, I'm... Beverly Boyer and I'm a pig. Her son: What did Mommy say? The maid: She said she's a pig. The whole episode is thoroughly embarrassing and humiliating for poor Beverly. She was in tears... I WAS ALMOST IN TEARS. OH, THE PAIN!! Honestly though, you can't help but feel so sorry for the poor woman. After that, you'd think she would never want to step in front of a camera again, but a juicy offer of $80,000 to appear on television every Friday for a year to advertise Happy Soap causes her to reconsider. WHAT IS THIS FOLLY?! She never seems to completely lose her nervousness in front of the camera, but the public loves her and she becomes somewhat of a celebrity. Well, not quite a celebrity... but she gets noticed in restaurants and asked for autographs. This irritates James-- I mean Gerald. He looks so beautiful. His gorgeous eyes with the cheeky twinkle in them... that dazzling smile... the chin dimple. THE CHIN DIMPLE. SAVE ME FROM THE ADORABLENESS OF THE CHIN DIMPLE. I'm sorry, what was I saying? Oh, yes, Gerald doesn't like that his wife's face is plastered all over bill boards, and that they can't go to a restaurant without someone asking for her autograph, that she spends hardly any time with the children (Brian Nash and Gretl-- Kim Karath), and that his work hours and her work hours leave them hardly any time to see each other. JAMES IS HAVING NONE OF IT. So he drives his car into a swimming pool. James is the unimpressed with the speed with which the pool has been installed. In fact, he is not only unimpressed, he is furious. He rushes back upstairs, packs his bags in a hurry, and leaves - kicking over a few boxes of Happy Soap's detergent that are by the side of the pool on his way out. Beverly is angry as well because James won't listen to her, but we're not interested in that. We're interested in the fact that James has kicked over several boxes of detergent by the side of the pool. By the side of the pool. Water. Detergent. This whole scene is ridiculously and bizarre, but also really hilarious. After this escapade, a whole lot of other things happen but none of them are important because Arlene-- MRS. FRALEIGH goes into labour at the Cartier Hotel. Mrs. Fraleigh: Gardiner, I'm going to have a baby. Mr. Fraleigh: Yes darling, I know... Oh my God! Are you sure? Mr. Fraleigh: Beverly! Call your baby, my wife's having a husband! Quickly! Quickly! They attempt to drive to the hospital, but are held up by heavy traffic in the streets. Mr. Fraleigh: Sidney, do something! Sidney [the chauffeur]: Shall I blow my horn, sir? Mr. Fraleigh: Yes, damn it! Mrs. Fraleigh: Gardiner, your language-- OH DARN IT!!! Mr. Fraleigh: She said "darn it"! She has never, ever said that. I AM STILL LAUGHING AT THE HILARITY OF THIS SCENE. Well, of the film in general. 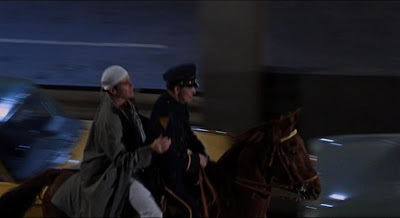 James tries to get to them but with all the traffic it's impossible in the car, so he jumps onto a police horse. He's cool like that. He manages to get the car, and delivers a beautiful, bouncing baby girl before they arrive at the hospital. It's a good job that the "car" was actually a limousine. Here's a photo of Arlene's beautiful face after just giving birth in the backseat of a car. She still has her earrings on and I don't know why, but that amuses me. Doris then falls into James' arms, cries a little, and then they go home. Kim Karath then demands she gets a baby sibling. I LOVE THIS FILM. I WANT TO WATCH IT OVER AND OVER AGAIN. Especially the opening scene and the soap suds scene. So much love! This film is absolutely amazing . I seriously love Doris day and James Garner together. 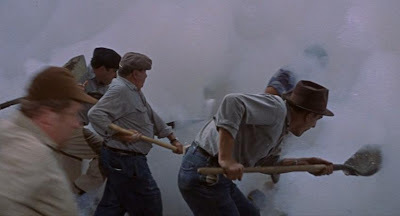 The scene where the men are shovelling soap. Ha!!! I love this film! Me and the missus watch it every time we visit my mother's house (she's a big DD fan). We always call soap 'happy soap'. I actually prefer Doris and James to Doris and Rock, though for reasons that have nothing whatever to do with his chin. But, of course James Garner can get away with ANYTHING! Hahaha! I'm so excited that you are now Doris Day/ James Garner super-fans! Both are in my utter favorites list! 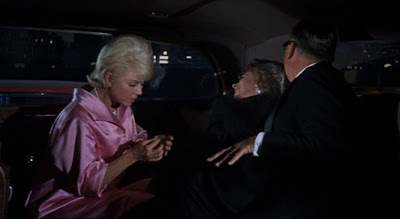 You should see Move Over Darling (NOTHING compared to My Favorite Wife, but IT DOES HAVE DORIS + JAMES)! Do you remember the name of the Doris Day film (I think DD) where there is a pool and a man is driving a tram around the edge of the pool serving drinks? @Matthew - I think I'm going to be introducing it my Mum - I think she'll love it as she likes Doris in other films we've seen. Funny thing, I was actually thinking about you during several parts of it. I was like "Hmm, I bet Millie absolutely loves this film!". THEY'RE SO ADORABLE!! HOW COULD ANYONE NOT LOVE THEM?! My Favourite 1930s - 1960s Best Picture Winners! !